Storage is always in demand, no matter how larger or small your home is. 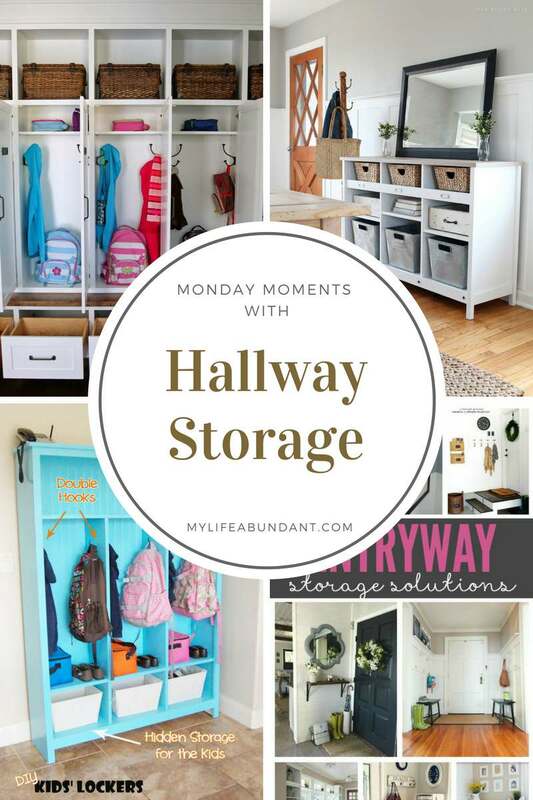 Here are a few ideas for storage in the hallways you have in your home. This first example is actually a Mud Room storage area by Sunny Side Up, but there are so many examples of how she made every space in this small area work. I love the lockers for everyone in the family. Since I am a huge farmhouse lover, here is a simple example of an area right next to the door going outside by Love Grows Wild. I love this simple idea with all those baskets and bins. Another cute idea that One Creative Mommy made herself! Simple and perfect for her kids to use every day. I love the color she choose. Happy Organized Life put together a good list of entryway storage solutions anyone could use. I love the picture which hides all the keys.